The latest Japanese fashion items and home electronics, confectionery prepared using Okinawa’s unique ingredients, cosmetics made of natural materials, Okinawan accessories and traditional craftwork, and a variety of other products are available. 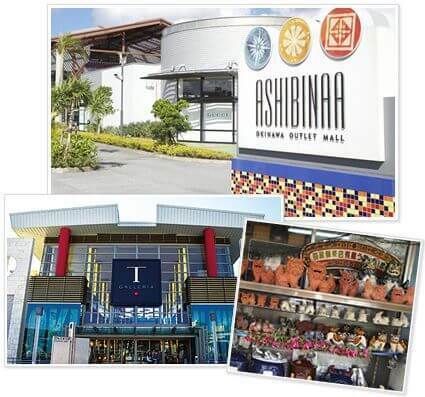 There are also so many casual or upscale shopping spots to choose from, including lively markets, outlet malls with Japanese and international major brands, and duty-free shops. You can become the most dazzling bride with relaxing natural aesthetics. 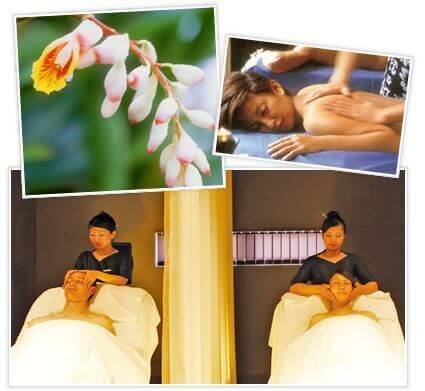 Relax mentally and physically with Okinawan aesthetics and spas surrounded by subtropical nature. The treatment menu includes treatments using shell ginger, turmeric, Goya (bitter melon), deep ocean water, and other Okinawan natural materials, allowing you to bathe in the power of nature. You can receive treatment before your wedding to become a dazzling bride, or after your wedding to release fatigue or to just relax. Experience a moment of supreme bliss and relaxation on the paradise island. Experience new discoveries and excitement on the paradise resort island! Okinawa is well known for its wealth of sightseeing resources. 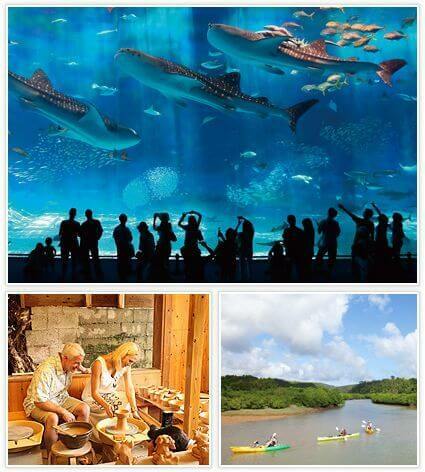 A theme park full of Okinawan charms, world heritage sites you cannot miss, the world’s largest-class aquarium?there are many interesting spots you can visit with ease. Okinawa is one of the best places for activity lovers as well, offering numerous activities you can enjoy in the Okinawan rich natural setting. These include marine activities and underwater programs to appreciate the comfortable Okinawan breeze and crystal clear water, trekking in lush green forests, and playing golf on a course with a magnificent view of the beautiful sea. There are also many programs where you can make your own handcrafts. Okinawa offers new discoveries and excitement in towns and the sea for couples as well as for their families and important guests. It is up to your imagination to make your wedding trip a life-long memory. Please your palate with local foods, Japanese cuisine, and tropical sweets. In addition to enjoying Japanese cuisine, discovering your favorite local foods in Okinawa that you cannot find in any other place is big fun. 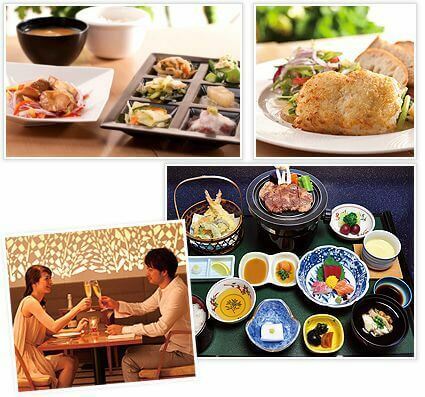 Enjoy to your heart’s content a variety of local dishes prepared painstakingly using fresh ingredients, the gifts from the Okinawan sun, earth, and people.